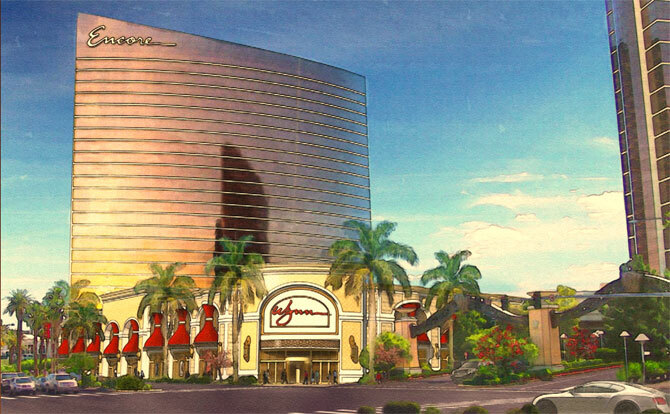 Construction on Wynn Plaza, a Strip-facing shopping esplanade which will connect the former Ferrari dealership with the forthcoming ālon resort at the stairway entrance at the front of Encore is underway. 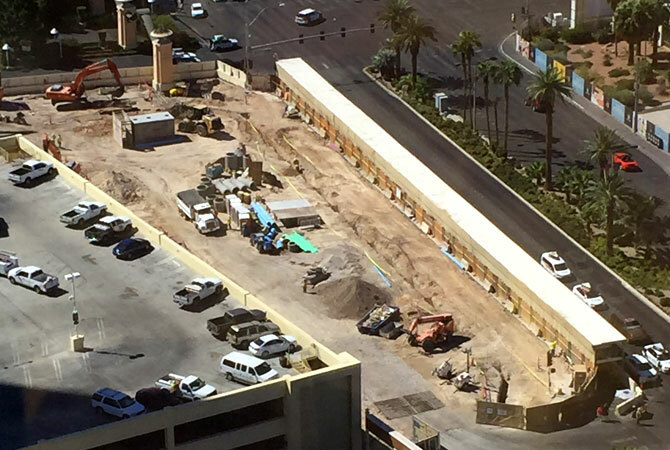 When we last checked in, Wynn had removed all of the landscaping between the self-park garage and The Strip plus blocked off access to the construction site. They've since erected construction walls on all sides, tore up asphalt, graded the work area and have begun trenching for sewer access. Yes folks, The Steve is laying pipe, big pipe. 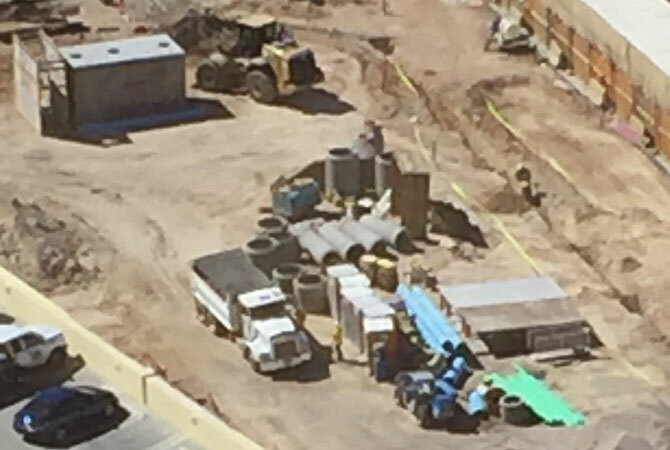 Just think... a year from now, one of your hard fought, epic Vegas shits will travel through that pipe towards its date with oblivion. Progress! Earlier this year, I walked this area and recorded a video. Big thanks to Jeeznuts for the photo tip! Thank you for posting... Can't wait to see it.